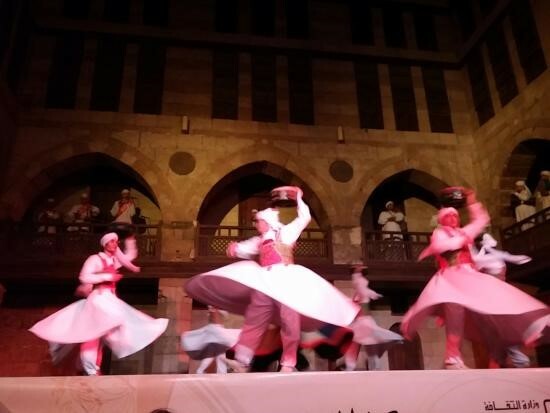 With Magic Egypt Tours enjoy amazing whirling dervishes of al tannoura egyptian heritage dance troupe Cairo in Wekalet El Ghoury . Wekalet El Ghoury is an architecturally stunning arts center in El Azhar area in Central Cairo. 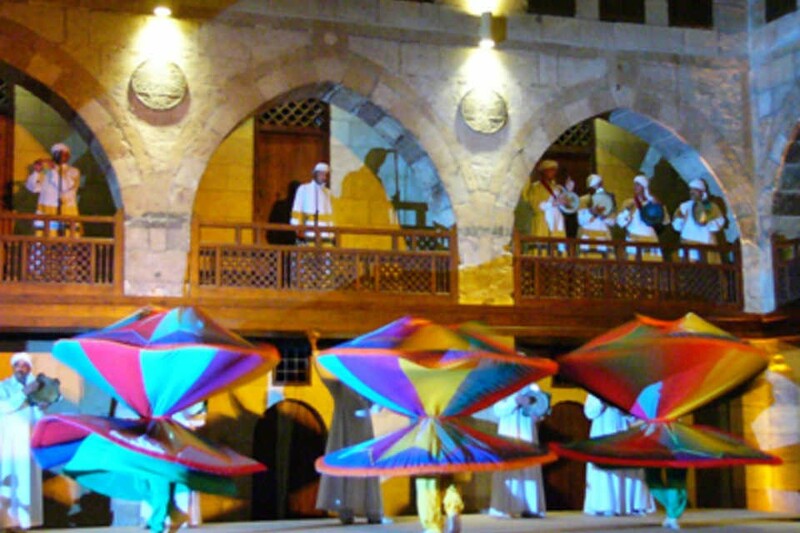 Our representative will pick you up from your hotel and transfer you to attend the Tannoura show which takes place at Wekalet El Ghoury built in 1504 A.D during the reign of Mamelukes. 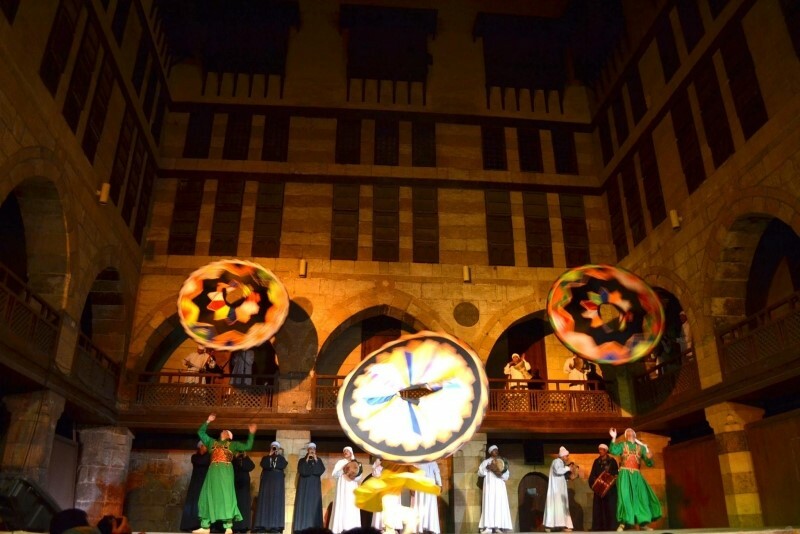 Tannoura show is the most amazing Egyptian Folk musical nights, it’s performed by ‘El Tanoura Troupe for the Cultural Heritage, which has given varied performances in over 30 countries. 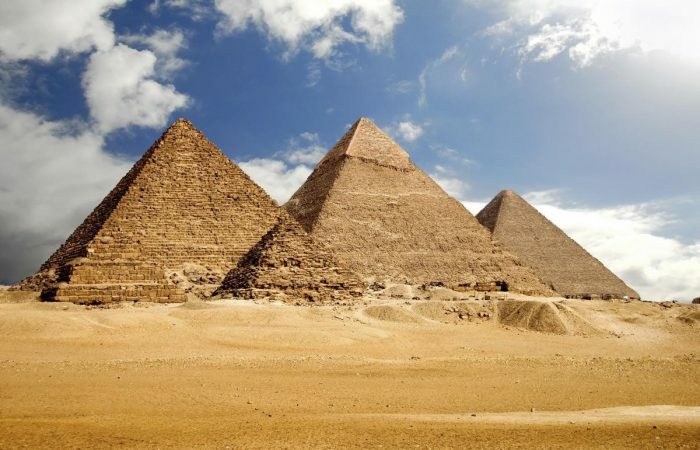 At the beginning, Selections of Folkloric music will be played by local Egyptian musicians, previewing The Egypt’s musical heritage. 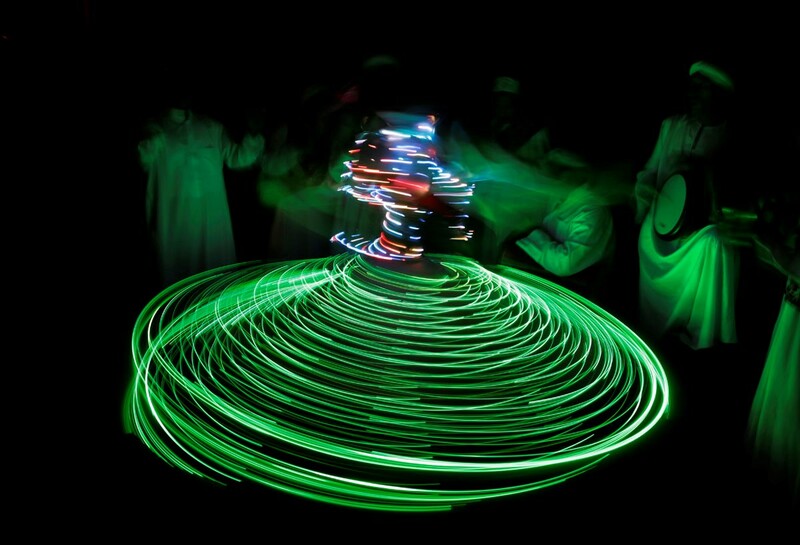 Then comes The Tanoura Dance show and lastly they end it with a very special spiritual Whirling Dervish (Darawish) performing. After the Show ends, you will be transferred to your hotel.